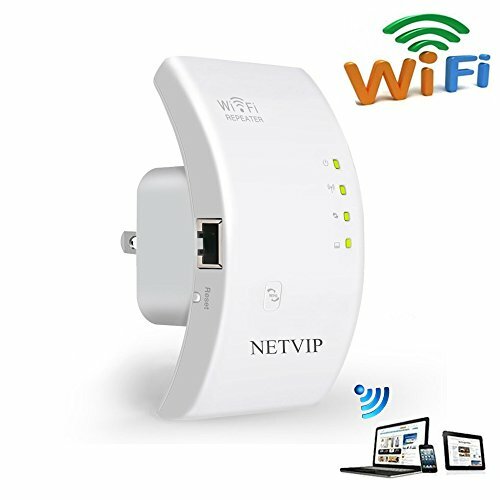 Wireless-N WiFi Repeater - Boost your WiFi network for stronger wireless performance and coverage. 1.Plug repeater into a power socket.Wait until see green WPS light blink steadily. If you have any questions about its function or configuration,please feel free to contact with our service team - usnetvip@outlook.com.Thank you! 【2 IN 1 FUNCTION】: This item is able to meet two kinds of needs - Wireless Repeater Mode and Standard AP Mode. 【POWERFUL WARRANTY】: We promise worry-free 12-month warranty and friendly customer service.Please feel free to contact us if you have any questions.